We all know there’s a new sheriff in town when it comes to enforcing our immigration laws. President Trump is cracking down on illegal immigration. 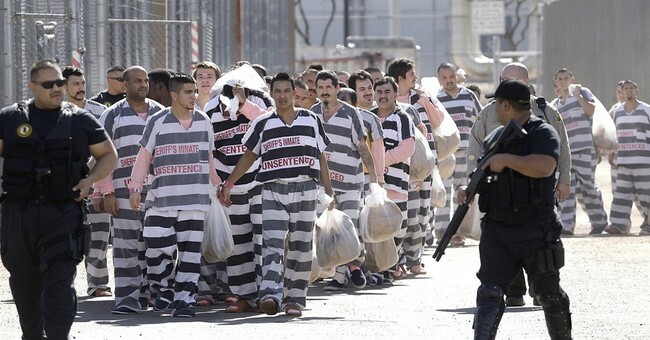 In February, Immigrations and Customs Enforcement rounded up hundreds of illegal aliens from across the country, 75 percent of which had criminal records. Leah reported that illegal border crossings have dropped 40 percent. Since he took office in January, over 41,000 illegals have been arrested. The Trump administration is now looking to break the back of MS-13, a large and vicious gang from Central America. Mayor Michael Hancock is drafting an executive order that would create a legal defense fund for immigrants as part of a series of new policies aimed at pushing back against the Donald Trump administration’s crackdown on illegal immigration. The legal defense fund would be in place through Jan. 20, 2021—the first day of the president’s current term—and would help pay for lawyers for people threatened with deportation, according to a fact sheet of the draft executive order provided to Denver7 Tuesday. The Denver Post reports the fund would be created mostly from donations. The proposed executive order would put into official city policy some of the things that Hancock and the city council have pushed for in recent months as pushback to a new crackdown by Trump and his head at the Department of Justice, Jeff Sessions. Namely, it would make it official city/county policy that immigration enforcement is a federal responsibility and that city/county employees (especially the Denver Police Department and Denver Sheriff Department) won’t aid federal agents in arresting people without a warrant. The draft proposal also would engrain into city rule that neither law enforcement agency would hold an inmate beyond their release time without a warrant—even if there is an immigration detainer in place. It would also prohibit federal agents from entering any secure areas of a law enforcement facility without a warrant. Denver has been mulling sanctuary city status. ICE is expected to hire thousands more agents to enforce immigration laws in cities with such a designation.